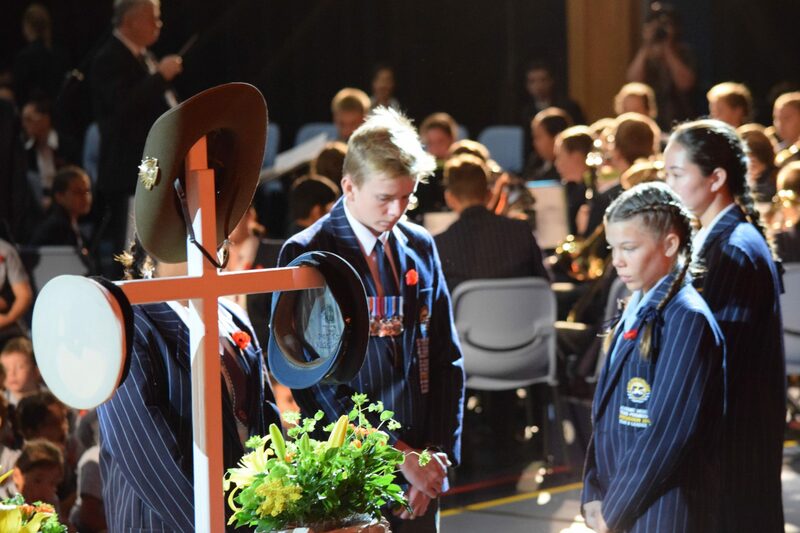 The ANZAC memorial service held at Sheldon College on Tuesday 24 April was a very moving and solemn commemorative observance. 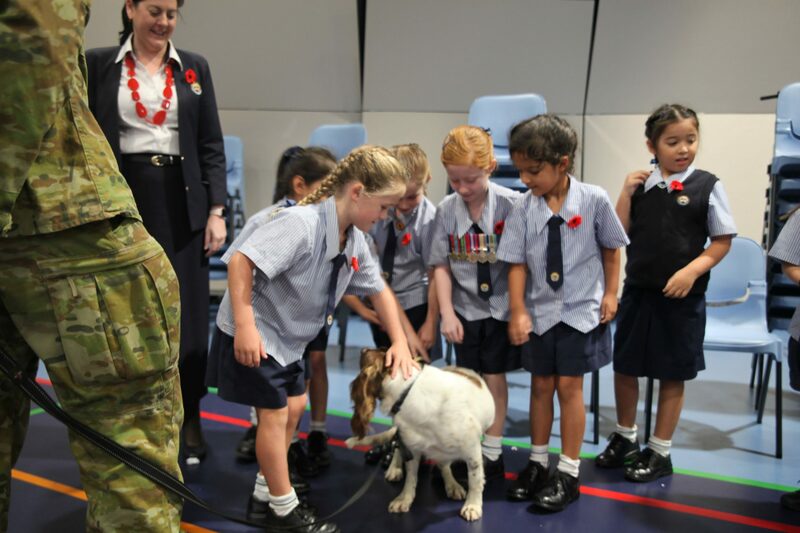 Students, teachers, parents, friends and community members experienced a special ceremony, marking 100 Years of ANZAC, The Spirit Lives 2014 – 2018. 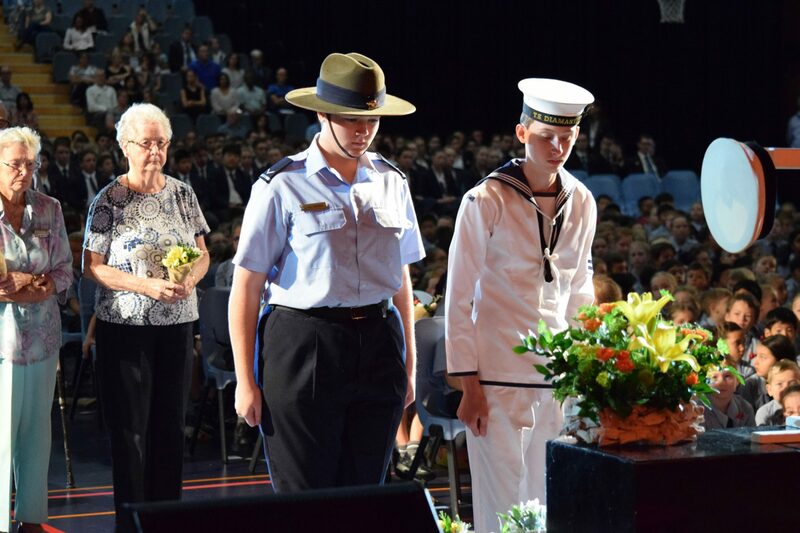 The commemorative service was hosted by Sheldon College Captains and Vice Captains and pictorial tributes to fallen Sheldon College Family members were encapsulated in a beautiful media presentation in the foyer of the Sheldon Event Centre. As guests entered the Sheldon Event Centre they were surrounded by ‘Walls of Remembrance’ acknowledging the sacrifices made by past and present members of Sheldon College Families. Sheldon College Principal and CEO, Dr Bishop made a moving speech and referred to Simpson and his donkey and impressed upon the audience that it was his courage and compassion rather than his skills, that made his story so memorable. Throughout the speech the audience were encouraged to remember the bravery of the ANZACs and that world peace must be sought to ensure we never experience the dark days of war again. Dr Bishop also recounted a personal story of Charlie Sinclair, a Prisoner of War on the Burma Railway, who came to live with her family in Australia after the war until his death at 65 from war-related illnesses. Also acknowledged was Lance Corporal Albert Jacka a war hero from WW1, who was awarded a Victoria Cross for bravery on the night of 19-20 May, 1915, at the Courtney’s Post, Gallipoli Peninsula. Mr Scott Jacka is a member of the Academic Staff at Sheldon College and the Great Grandson of Lance Corporal Albert Jacka. 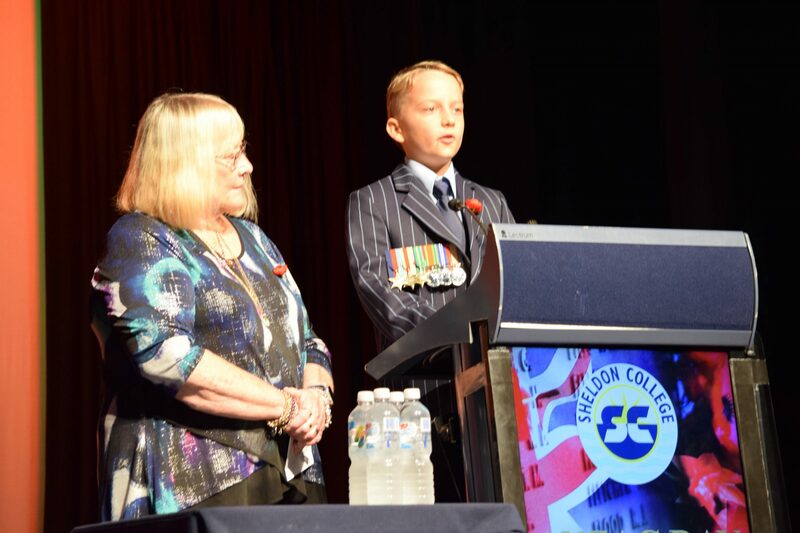 A heart-felt speech was also delivered by the Wegner Family with Year 5 Student, Luka Wegner, who was introduced and accompanied by his Grandmother, Mrs Glenda Crew. Luka spoke of his Great Grandfather, (Lance Corporal, 1st Aust. Corps Troop Supply Column AIF, POW), Kenneth Heyes, who served as an ambulance driver in the Middle East in World War II. Luka went on to tell the story of how his Great Grandfather’s ship was captured as it turned back to Australia and of the terrible time that ensued in the POW Camp building the Burma Railway. Luka explained how during this time Ken, had kept a diary of his time as a POW and had also done many hand drawn sketches of POW camp life which were sadly misplaced on his return to Australia. Eventually they found their way back to him after a period of 6 years. The Diary of his time as a POW is now in the Canberra War Memorial, along with his ‘Jap Happy’ (Japanese issued loin cloth) and ‘Dixie’ (Army camp kettle). The service was interspersed with musical pieces performed by various Sheldon College vocal ensembles and accompanied by the Sheldon College Concert Band. 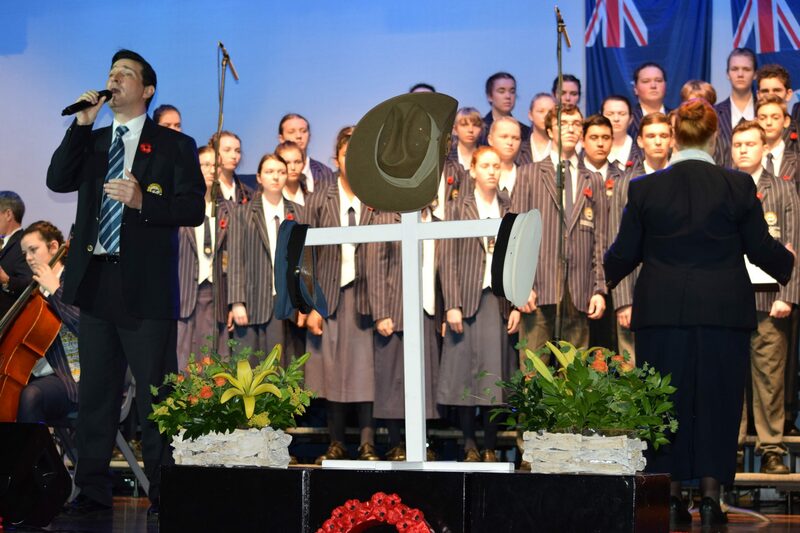 Year 12 student, Logan Redstall, delivered the ‘Ode to the Fallen’ with Year 10 student, Imogen Parker on trumpet, followed with the ‘Last Post’ and ‘Reveille’. 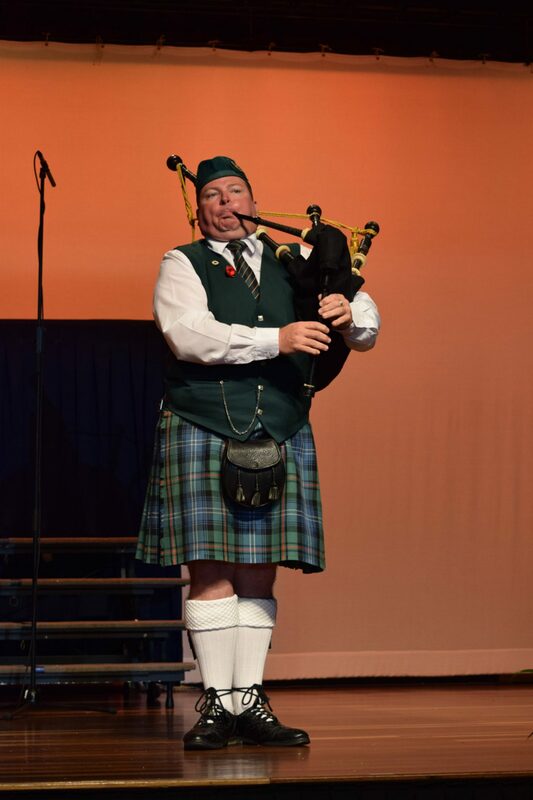 Special guest, Major Piper Bruce Grice, returned to Sheldon College for another year to perform the ‘Lament- Flowers of the Forest’ on the bag pipes. The guest presenter for the service was Ms Pixie Annat, nurse and former CEO of St Andrew Hospital, who shared stories of her nursing ­experi­ence and the impact of nurses across the world during time of conflicts, with an audience of over 1600 students, families and guests. Ms Annat, now in her 80s, had a celebrated career as a nurse, matron, hospital chief executive and committed member of ­multiple medical boards, was inspired by her Mother’s wartime nursing career. Her biography, ‘Pixie Annat – Champion of Nurses’, published in 2015, describes her as a dedicated nurse in post-war Australia, where “she worked 12-hour days, starting at 6am and finishing at 6pm, with duties that included cleaning bed pans until they shone “like mirrors”. 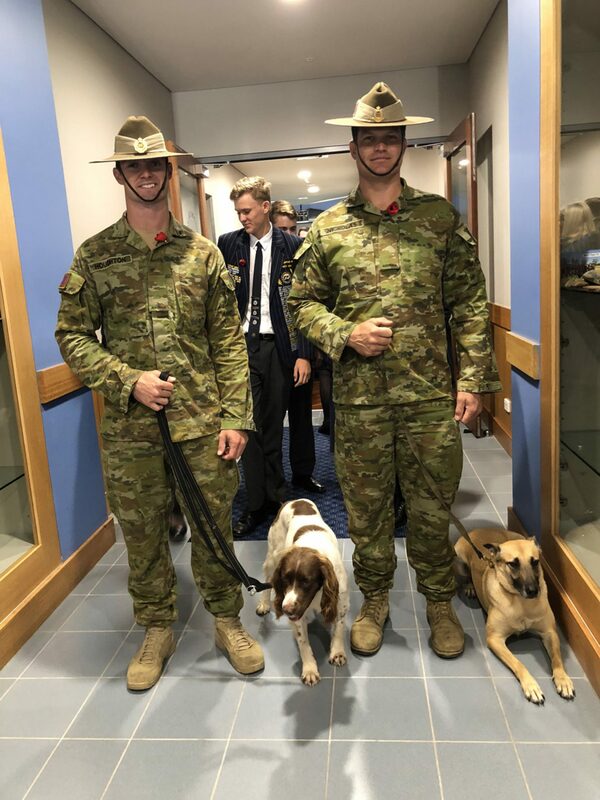 Sappers from Enoggera Barracks together with their bomb squad dogs lead the processional. This was particularly poignant for the commemoration of 100 Years of ANZAC, The Spirit Lives 1914 - 2018. 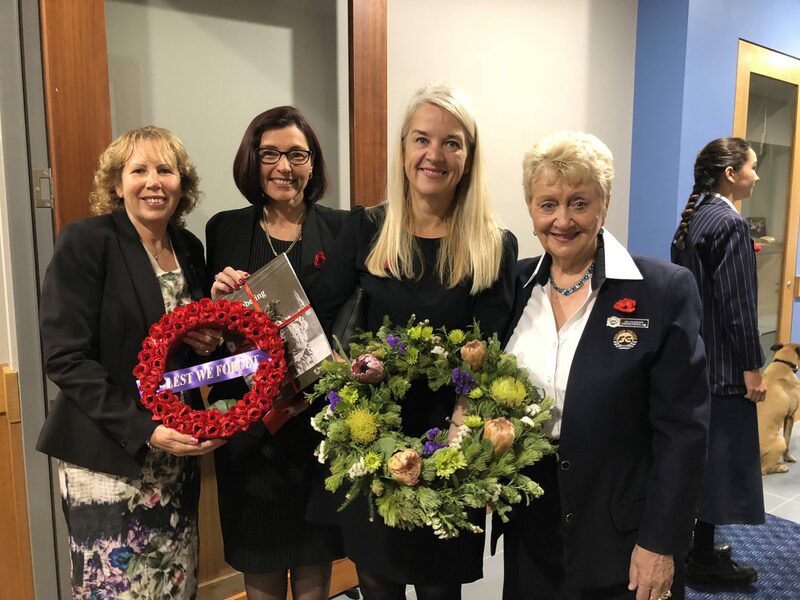 Together with VIPs’, Wellington Manor residents and student representatives from each home room, from Preparatory to Year 12, wreaths were laid in a moving tribute to our ANZACs. 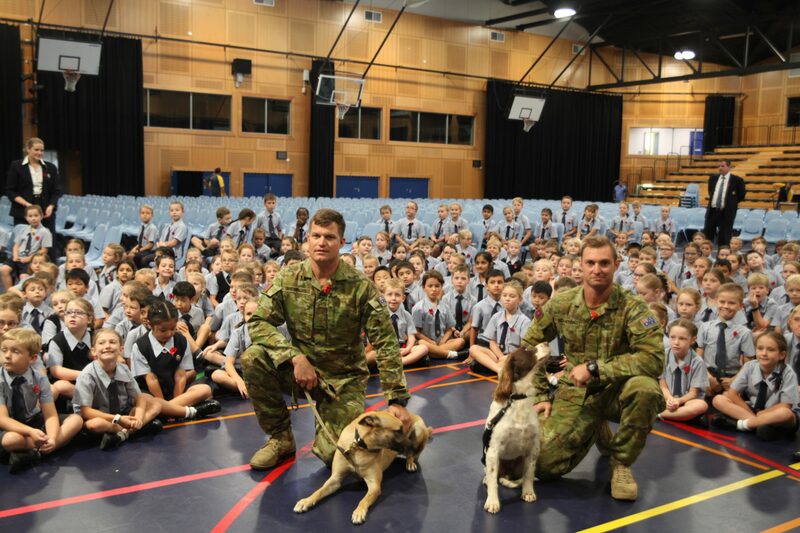 Following the service, the Members of the Enoggera Barracks then delivered a post-ceremony presentation to Junior College students, answering questions about their Army service and the important role service dogs play in the Army. To cap-off a moving ceremony, guests, including the Wellington Manor residents, were served morning tea by the Year 8 Middle College Leaders in the Horizons Room within the Sheldon Event Centre.